This past Wednesday, the Federal Reserve raised the benchmark interest rate for the second time in 10 years. As predicted by some, the decision caused minimal impact on markets; the thinking was that the markets had already “priced in” this rate hike. But that’s not all that happened. 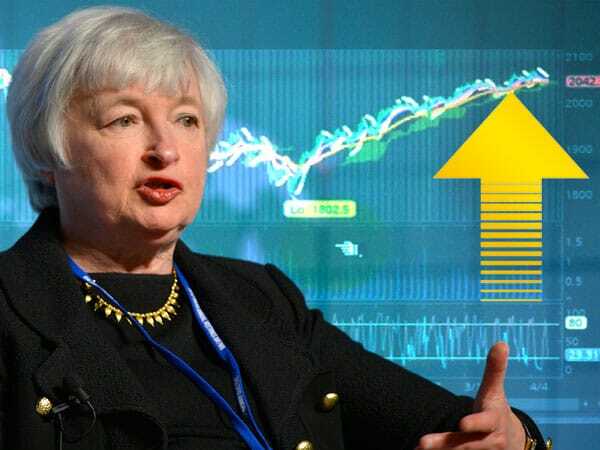 The Fed also revealed a surprising detail about their plans for 2017, and it’s set to cause big changes to the American economy that could last for years. 3 More Hikes in 2017? It looks like Wednesday’s rate hike was just the beginning. The big surprise we got from the Fed was that we can expect to see three more rate hikes over the course of 2017. After a decade of near-zero rates, the Fed’s decision to pursue three more increases to the benchmark rate in the next 12 months comes as a major change. A single rate hike isn’t earth shattering, but the idea of three more in the next year is ambitious, to say the least. With the complex effects – both good and bad – that higher rates have on the economy, Americans need to understand what’s ahead and how it could change the financial landscape. When the Fed moves to raise rates, it’s a signal that its committee members feel the economy is headed in the right direction, enough so that they think it’s safe to take off the training wheels (rock-bottom rates) for a while – a necessary move, but not without inherent risks. There’s no guarantee the economy won’t take a few tumbles before it remembers how to keep its balance. For example, higher rates threaten to slow down any market that’s reliant on Americans being able to borrow money cheaply. Two of the country’s biggest economic drivers – the real estate and automotive sectors – are most at risk, but plenty of other industries could feel the squeeze too. As lending and buying slow down, preventing a widespread pullback in the stock market will be extremely difficult. If the Fed’s decision to raise rates three more times in 2017 causes the economy to contract, it could result in an extended down period for stocks and mutual funds. The Fed’s move to raise rates so quickly could cause things to get worse before they get better. But to all this potential downside, there may be an upside. Although we may see stocks, mutual funds, and other equities decline as we move into 2017, gold may stand to benefit. After all, it often acts counter to the stock market. So, combined with all the other pro-gold economic forces at play in markets today, the Fed’s rate hike schedule may be a blessing in disguise for anyone holding gold.